Jonathan "Baldwin" Baldwin is a North American Starcraft II player. Baldwin is a former competitive Halo 3 player, and made the switch to Starcraft II after seeing it for the first time at a MLG event in 2012. 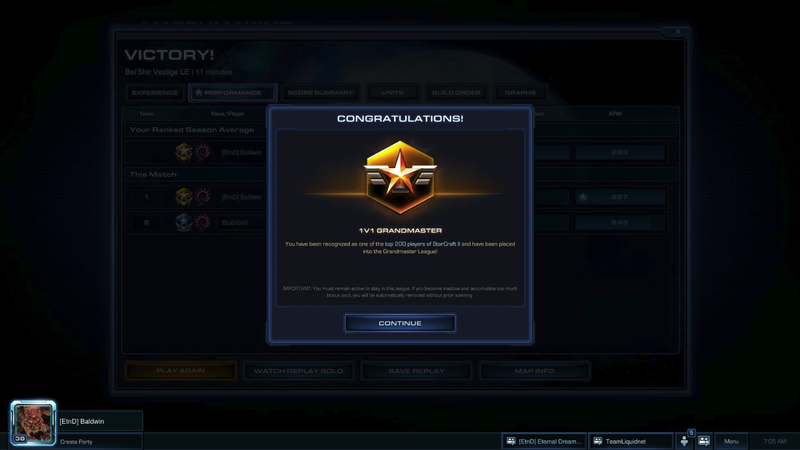 Baldwin achieved Grandmasters NA for the first time in 2013. He is currently playing for Team Gravity. Played for Eternal Dreamers in the 2013 Union of Americas Star League Season 2 Contender Division finals. He reached Grand Master for the first time in season 5 2013. September 14th 2013, he went to his second LAN event called "E-Sports Initiative" and he ended up winning the event, walking away with $150 dollars in gear. In March of 2014 Baldwin was picked up by the ROOT Gaming Academy, SEED Gaming. This page was last edited on 5 June 2018, at 10:24.